Surviving in today’s gaming landscape is all about visibility. You can come up with the game of the decade, but if it doesn’t catch the eye of the public, you’re done for. Sounds harsh, but unfortunately that’s how it is right now. Showing yourself and your game in as many online spaces as possible is a time consuming and by default costly affair. 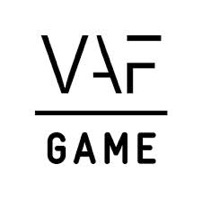 With BRINDIE, Laura Bularca and Anna Jenelius of Sweden based Valiant Game Studio have created a service to make this process easier. First of all they offer a range of templates you can use for free to create art assets for as many as 18 online services (with more beind added in the future), ranging from essential gaming platforms such as Steam and Discord to more mainstream social media like Facebook and Pinterest. If you don’t feel like spending a week in Illustrator, you can opt for one of three premium packages. With BASIC ($2000) they create your game’s presence on Steam, Facebook and Twitter. ADVANCED ($5000) adds more services and with CUSTOM (starting from $1000) you get to cherry pick where you want your game to be seen. BRINDIE stresses they aren’t acting as a publisher, so after creating the assets they’re all yours. FLEGA members can get a 20% discount on these rates by using the code FLEGApower upon ordering a service package. Whether you make use of the free templates or the premium services, BRINDIE hopes to allow more indie developers to self-publish and we can only encourage that.